Here is a map showing the fighting in the Suez crisis. 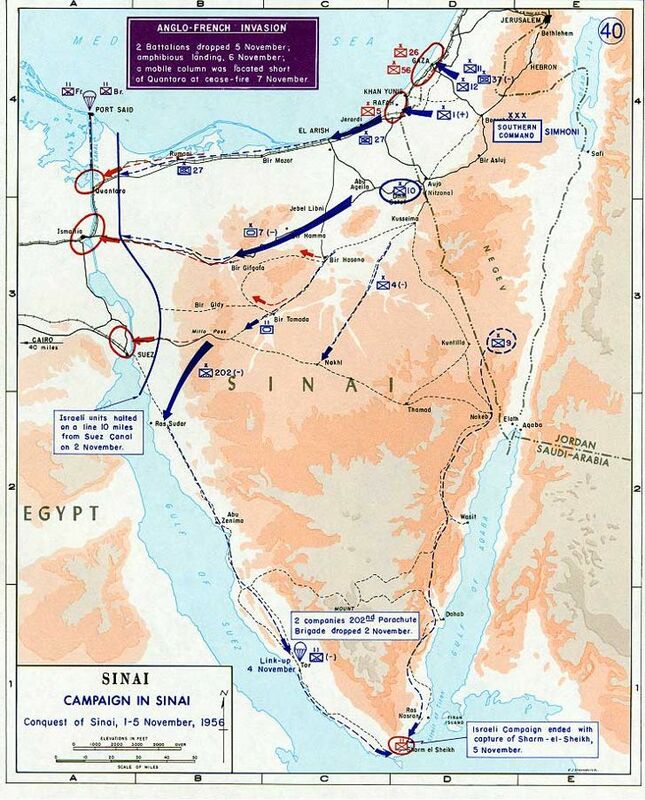 The Israeli forces (blue) can be seen invading Sinai, and the subsequent British and French landings (purple) near the Suez Canal can be seen. Egyptian forces are shown in red.